Intergate, in conjunction with our travel visa partner, offers a bespoke Tanzania visa service that provides advice, compilation of the application, submission and return. Who needs a Tanzania visa? Travellers to Tanzania, with the exception of certain nationals, need a visa when travelling to Tanzania. South Africans do not require a visa if the intention is to stay for a maximum of up to 90 days, provided the traveller’s passport is valid for 6 months from the date of entry. For what purposes can I obtain a Tanzania visa? Ordinary visa, also known as Visitor’s Pass: Ordinary visas are means for tourism or other non-business related purposes, such as visiting friends or family. Making arrangements for investments during the initial investment phases. Multiple-Entry visa: This visa is meant for business people and investors who have to make frequent trips to Tanzania. 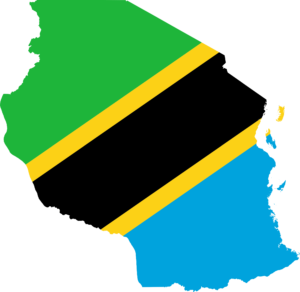 A Tanzania visa is applied for at the Embassy or Consulate of Tanzania or a visa application centre. Do I have to go in person to submit my Tanzania visa application? On average, it takes anywhere from 2 to 15 days, longer in some cases, to process a Tanzania visa. The ordinary visa and business visa are valid for up to three months, but while the ordinary visa can be extended, this is not possible for the business visa. Multiple-entry visas are valid for up to three months per visit within a six or 12-month period.